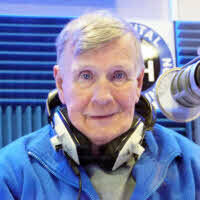 Hello, I have been with Radio Hillingdon since 1993, I present a programme every Sunday morning from 10-12 midday. The first hour is a Countdown of top 20 hits from a week and year gone by. The second hour consists of the patient's taking part in the mystery year plus I do a soap watch (Eastenders, Coronation Street) and the music is good too. It all started back in 1963 just after I left school, I was given an apprenticeship with an electrical/audio/transmission engineer and with him I went to various BBC Radio Stations which were the Light Programme and Home Service which was all we had at that time. In 1964 Pop Pirate Radio Caroline started, it was that which led me into a career of broadcasting. I joined the pirate radio station Caroline North on the 6th October 1965 as a trainee transmission/audio engineer. I presented the odd music show but at that time I was more interested in the engineering side than playing records. I left in 1966 and through contacts with Caroline I was asked if I would like a residency at the Marquee Club in Wardor Street. In 1970 I joined the Dutch pirate Radio Veronica as an administrator, which included making a rota for recording schedules. All Radio Veronica’s programmes we’re recorded and sent out to our ship which was The Nordeney, anchored off of Scheveningen on the Dutch coast.